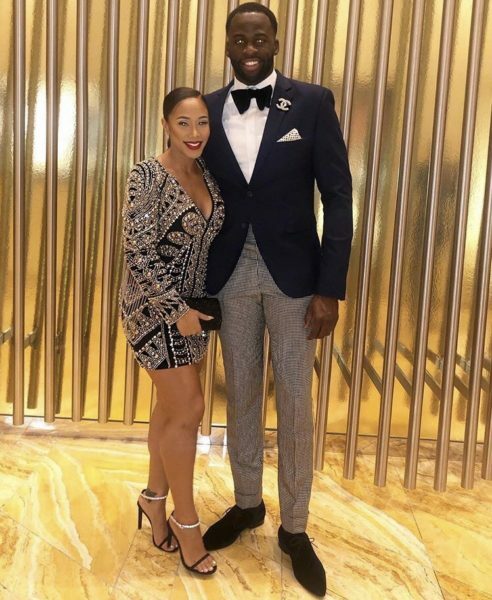 Hazel Renee and Draymond Green have been together since at least early 2018. Warriors coach Steve Kerr said they got engaged over the weekend of Jan. 19, 2019. Warriors star Draymond Green and TV personality Hazel Renee are engaged, Warriors coach Steve Kerr announced Monday. Although the pair have yet to make an official announcement, Kerr said after the Warriors’ morning shootaround that the weekend in Los Angeles was a busy one for Green and Renee. Green and Renee first posted pictures together on social media in early 2018, but gossip blogs named the two as an item in late 2017. Green has a son, Draymond Jr., with his former college sweetheart Jelissa Hardy, while Renee has a four-year-old daughter. Michael Jordan’s wedding to Yvette Prieto was the second most-Googled wedding of the year. This entry was posted in Affodable Low Cost Wedding Venue, Pioneer Church Chapel & Venue - Portland Or. | Wedding-Oregon.com, Affordable Wedding Planning | Wedding-Oregon.com, Low Cost Affordable Wedding Venue. | Wedding-Oregon.com, Wedding Announcements | Wedding-Oregon.com, Wedding Pioneer Church Chapel & Venue - Forest Grove Or. | Wedding-oregon.com. Bookmark the permalink.